10 Best 3-6kW Three-Phase Inverters 2019 - Solar Review. Home Compare 10 Best 3-6kW Three-Phase Inverters 2019 (so far). In some areas of the world, three-phase residential power supplies are a big deal. The fact of the matter is, if you have a three-phase power supply in a residential scenario, you need a reliable three-phase solar inverter to cope with your strict power requirements. Additional investment into a reliable three-phase solar inverter over a single-phase solar inverter is a given (Approx $300 – $500 avg). Understandably, it costs more for both the installer and the manufacturer to accommodate. In the past three-phase inverter models were often considered the less than inspirational version of their single-phase counterparts. In a modern twist, selected new release three-phase inverters have more significant and often more efficient qualities than the more popular single-phase variants. 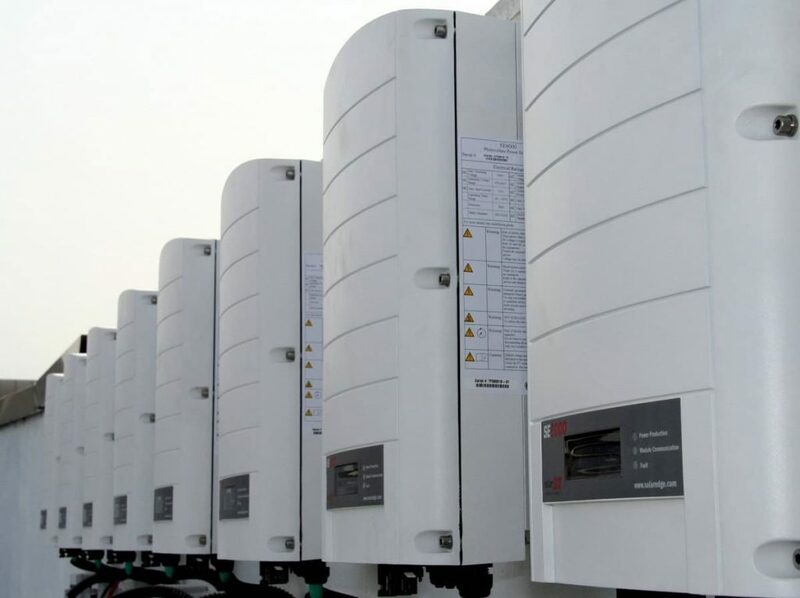 With affordability criteria removed, the below 10 best 3-6kW three-phase inverters 2019 are a reflection of the integrated technology. Technology which considers broad aspects from Design, Features, Performance, Guarantee and Software for an overall technology score averaged out of 5. IMPORTANT: The below 10 best 3-6kW three-phase inverters list 2019 should be used for technical guidance only, that of which considers the industries best available specifications at the time of collaboration. It is important to remember that every installation and its environment is unique. Although selected inverter technologies may generally appear excellent, it may not be ideal for your installation. Always seek local technical advice. Get immersed in 3-phase solar beauty! Almost a decade ago KACO was the affordable German-made inverter of choice for many residential grid-connected solar PV systems. After some time in the field, KACO inverters where inhibited by a less than desirable reputation. Fast-forward to the present date, and KACO has produced a new line of inverter options including a redefined residential three-phase inverter range. 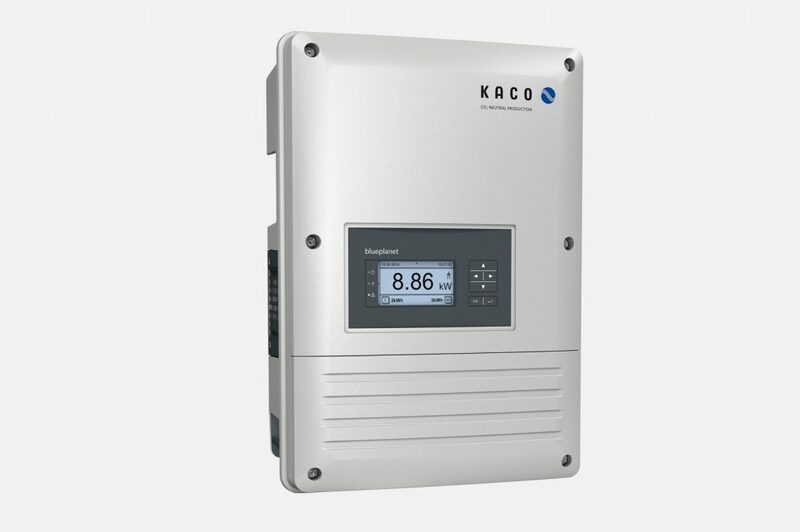 The KACO Blueplanet 3.0 – 10.0 TL3 presents as an overall Good three-phase inverter technology with its most prominent aspect the BluePlanet Web Pro evaluation and logging software. As many alternative inverters are dropping the LCD readable display, the KACO Blueplanet 3.0 – 10.0 TL3 boasts an extra large LCD Graphic display for those which would prefer local monitoring options as opposed to web-based. With very good overall specifications, why would one select the Delta RPI M6A three-phase solar inverter? Backed by one of the worlds largest electronics manufacturers, there is a level of comfort which many in this list would find difficult to match in the form of company stability and assurance. 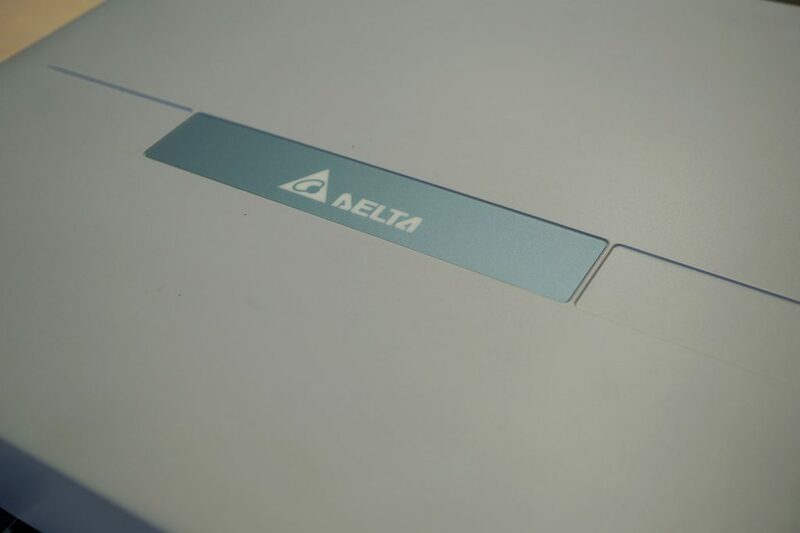 In turn, many end-users with Delta inverters rarely experience difficulties in after sales care should it be required within warranty. All around acceptable specifications, if the price is right, the Delta RPI M6A three-phase inverter range should offer peace of mind if not much more. 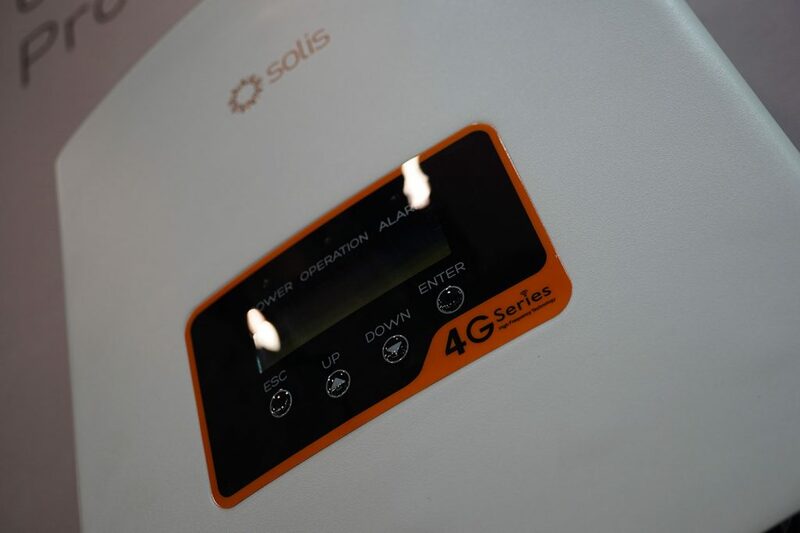 On face value, the Solis-3P(5-20)K-4G solar inverter appears to tick the right boxes when comparing performance values against the industry elite. Although lacking superiority in Features, Guarantee and Software this relatively new release three-phase inverter offering is fit for its intended purpose ranking overall Very Good when compared to the industries best specifications. In a nutshell, if you are looking for a three-phase solar inverter built to convert DC energy into AC energy and happy with just that, the Solis-3P(5-20)K-4G could be an ideal option. Fortunately for Goodwe, there are no criteria for appearances. However, it appears this aspiring Chinese manufacturer can build a residential three-phase inverter option with some very pleasing attributes. With no comment on how such attributes are acquired, the Goodwe Smart DT three-phase inverter range outperforms many ahead of it on this list by specification. Where the Goodwe Smart DT inverter struggles to compete against alternative three-phase inverter options is within the Features, Guarantee and Software categories. 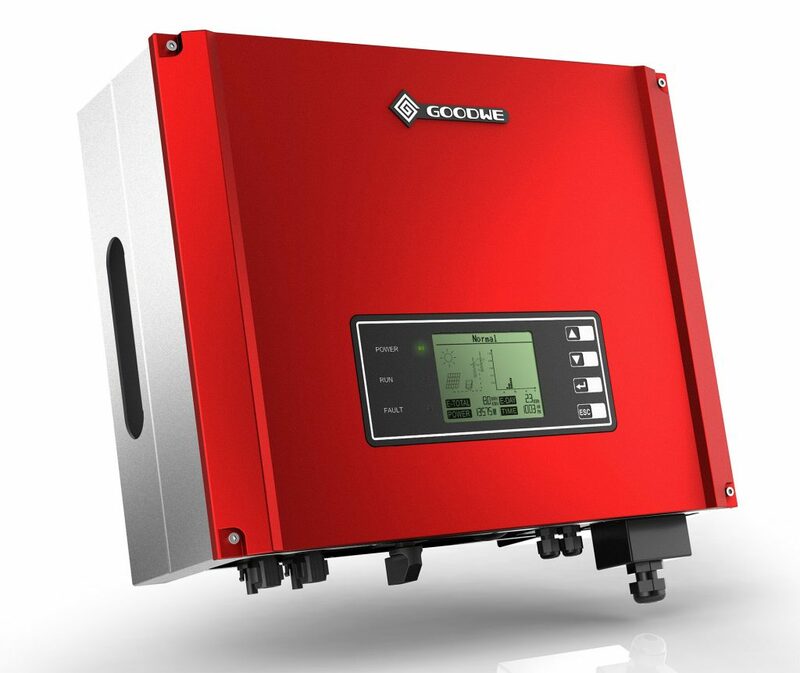 In respect, the Goodwe Smart DT is a slightly dated model considering Goodwe’s latest release inverters (in alternative classes), Therefore could this be the next inverter in the Goodwe range to receive a refined design? It appears likely. Based on available models it appears ABB’s intention with the Trio range is towards niche three-phase residential market with models not necessarily considered mainstream. 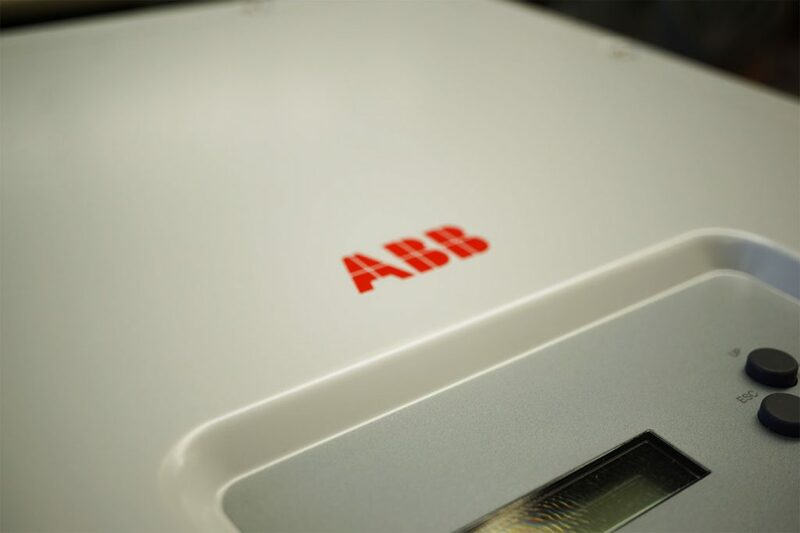 Models starting from 5.8 and 7.5 up to 8.5 kW the ABB Trio range makes its mark as a respectable option on the Solar Review 10 best 3-6kW three-phase inverters 2019 with some essential attributes consistent in the ABB range. When compared to alternative three-phase inverter options though, it’s hard not to feel a little underwhelmed with many nice to have features available as “optional”. Without a doubt the most magnificent let down though, when compared to ABB’s single phase counterpart, the UNO, is the absence of the 10-year product warranty as standard. 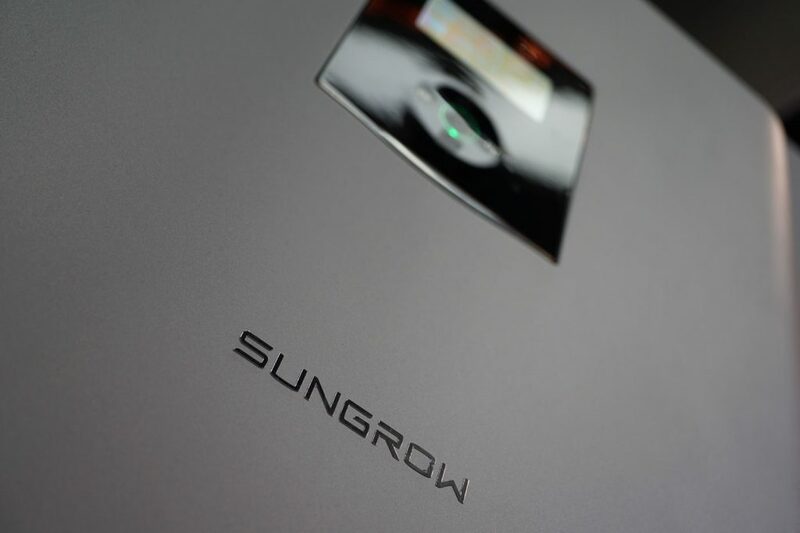 One specific feature available within the Sungrow SG#KTL should make this particular inverter a top 3 contender for anyone’s three-phase solar quest. A brilliant feature which is absent from most other inverters. Sungrow’s Patented PID recovery function which assists the prevention of Potential Induced Degradation within lesser quality solar panels. That aside the Sungrow SG#KTL is compared against broader specifications common within three-phase solar inverter options. The new release design and overall performance are where the Sungrow SG#KTL truly excels. Features, Software and base Guarantee languish behind alternative three-phase offerings. The very popular and now discontinued SMA Sunny Tripower TL-20 would have positioned here with a technology score of 3.7. Released to market over 5-years ago, the Fronius Symo remains a superior three-phase inverter offering for any homeowner. The most significant feature of the Fronius Symo is that it remains a proven three-phase inverter option with many customers internationally singing this once revolutionary inverters praises. For potential solar owners, the Fronius Symo offers peace of mind in a proven product. Beyond that, certain question marks become present when comparing an older inverter design to more modern designs and the advantages which come with it. As with any Fronius inverter offering, beyond reliability, its strength lies within an incredibly insightful software. 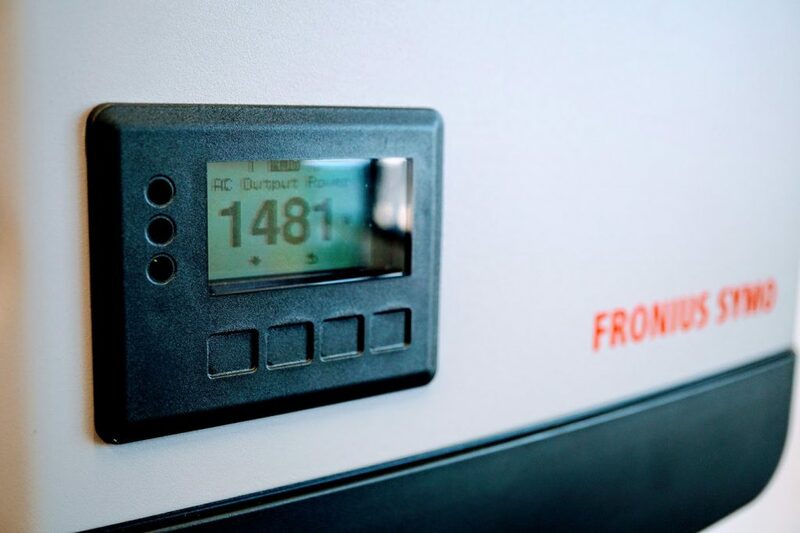 Whether Fronius have the ability to ensure the Fronius Solar.Web software remains relevant in a rapidly evolving product aspect, more so toward energy management, remains unclear. The SolarEdge three-phase inverter is a different beast in comparison to its single-phase counterpart, the HD Wave. Unfortunately, the SolarEdge Three Phase doesn’t share the standout criteria in Design & Performance as the HD Wave inverter. That aside, the SolarEdge Three Phase inverter range still presents a superior three-phase solar inverter solution. True rewards within the SolarEdge Three Phase offering exist within exceptional Features, Guarantee and Software. With mandatory optimisation as standard, so called safe DC is an additional benefit within every system. Such a powerful and versatile little package. Through using a three-phase Q cable, the Enphase IQ7 caters for three-phase power supplies without sacrificing any of the Enphase IQ 7’s prestigious qualities. Accompanied by exceptionally high ranking specifications, the Enphase IQ7 is one of the best three-phase solar inverter options for superior asset management and reduced DC voltage levels where required. The one let down for homeowner energy enthusiasts is the lack of access to detailed insight within the Enphase MyEnlighten portal. Paid subscriptions are available with access to more detailed analysis. Such is disheartening for many that have already invested considerable capital in a premier product. 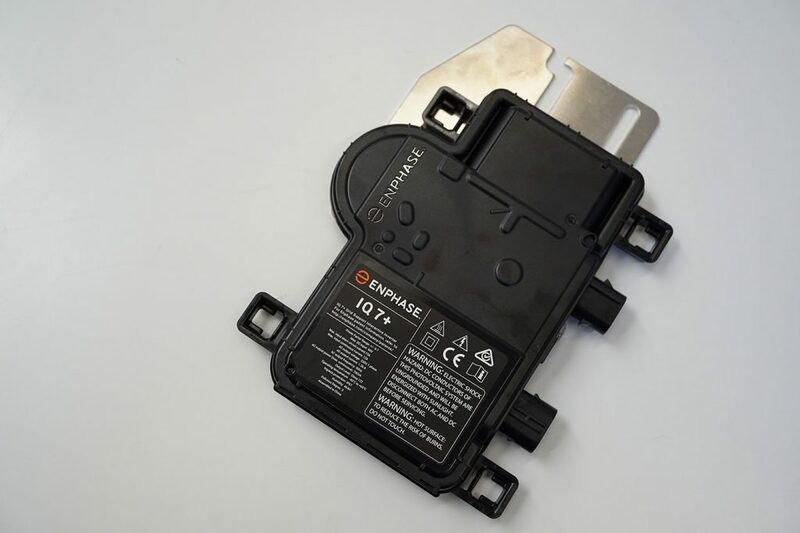 Enphase has invested heavily in acquiring supporting technologies for its rapidly evolving hardware offering. Continued investment into software evolution is a must to ensure the Enphase IQ7 range remains relevant in years to come. 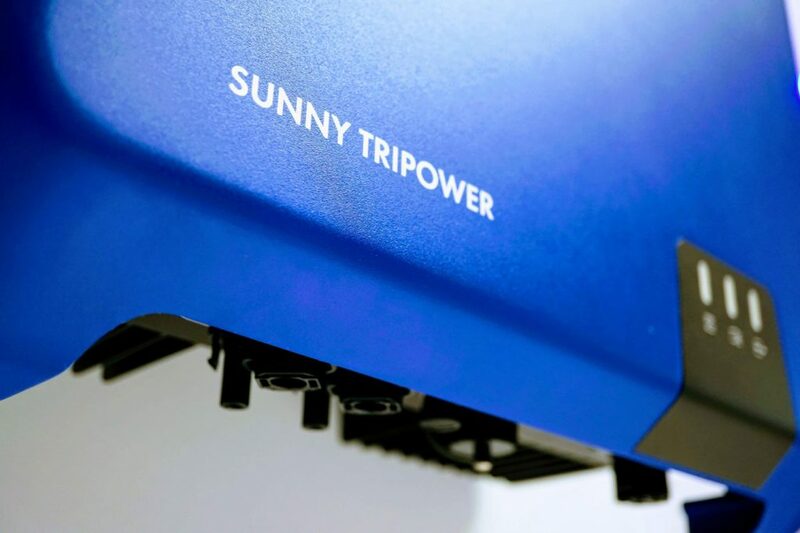 Once the preferred three-phase solar inverter choice, the original SMA Sunny Tripower had become somewhat underwhelming in a modern perspective (ranking 3.7 in Solar Review Inverter Assessment Criteria). From 2019 the evolved SMA Sunny Tripower arrives on the residential three-phase inverter scene as a rockstar in comparison. So much so it has even caught rival manufacturers gushing in this less than mainstream inverter class. In a super compact design, the SMA Sunny Tripower presents the ability to upscale in features toward advanced asset management. Alternatively, in the most straightforward fashion possible, deliver reliable three-phase energy conversion at an affordable price for the technology at hand. In either form, rest assured access to SMA’s Intersolar Award-winning energy management and monitoring software ennexOS. That of which indeed amplifies an end-users energy management power beyond hardware alone as we look towards more than just monitoring beyond 2020. Subscribe now as many more 3-6kW three-phase solar inverters are due to release in 2019. Those of which may have the ability to shake up the current order. Or beleive another inverter should be considered? Don’t be shy, leave it below and let the world be inspired by your insight. Coming soon – SUBSCRIBE NOW! Previous articleREVIEW | QCells Q.Peak Duo-G5 315 / 320 / 325 / 330W. Next articleREVIEW | LONGi LR6-60HPH 300-320W. 6 Reasons Why You Need a Fronius Smart Meter. SCORE | Goodwe ET 5 / 6 / 8 / 10 kW.